Whether you are looking for something romantic, dog-friendly or somewhere for a large family get-together, you’re sure to find the perfect holiday property with Suffolk Hideaways. 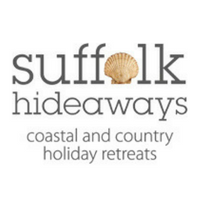 Suffolk Hideaways are pleased and proud to offer a fantastic and ever-growing selection of cottages throughout the glorious Suffolk county – from little places, perfect for a romantic weekend for two, to larger properties, perfect for family holidays. The cottages – and locations – vary; but what they all offer is a warm welcome, and a chance to let your hair down and relax, in total comfort. Many of our cottages are dog-friendly, suitable for young children, or perfectly located for a range of activities such as sailing, bird watching, cycling or walking. We also offer many short-stay opportunities: sometimes a weekend break, somewhere beautiful, is all it takes to recharge those batteries.